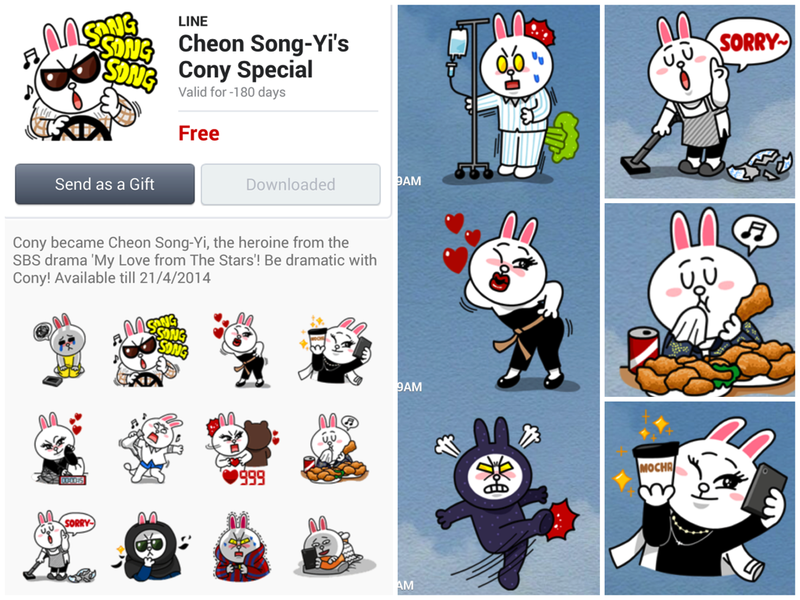 LINE released special edition stickers featuring Cheon Song Yi, the sassy and hilarious heroine from Man from the Stars. In total, 16 stickers are now available to download for free, as long as you are using the app. 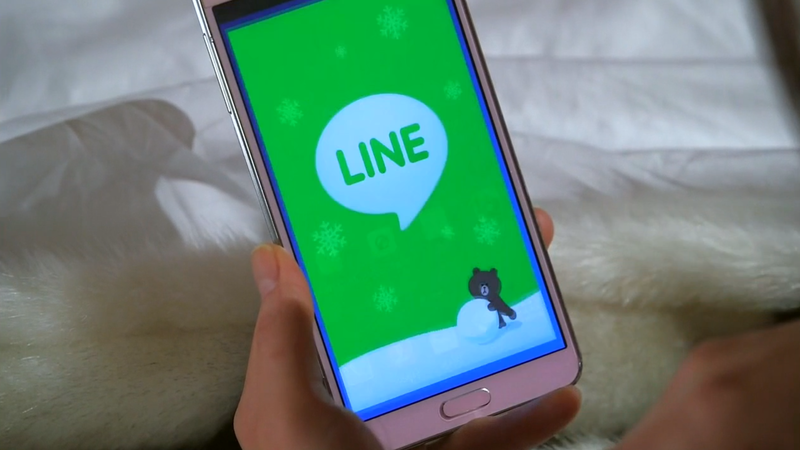 LINE is one of the sponsors of Man from the Stars and Song Yi often texts Min Joon using this app. LINE mascot pillows can also be seen in her living room. These stickers are spectacular! 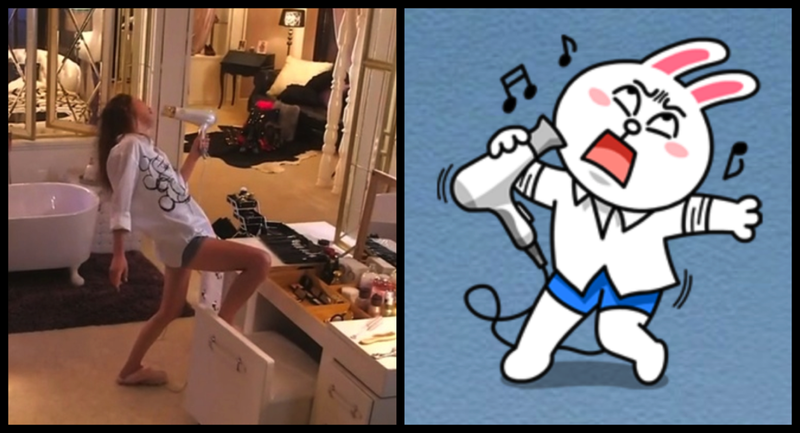 They took some of Song Yi’s best moments and made a matching cartoon version. We get her eating fried chicken, singing with her blowdryer, and even her classic “oops, sawry” for breaking a priceless vase. Let’s take a look and compare the stickers and the real thing! I Swear I’m Not Crazy! What do you think? Pretty great, right?! I was so delighted to find these stickers on LINE. LINE is a wonderful app that can be used for free texting and phone calls. It’s particularly popular throughout Asia and when I lived in Taiwan, every person I knew used it to communicate. Their stickers are my favorite part! Why use words when you can use awesome stickers like Song Yi’s to communicate all of your feelings? Seriously, this app is great! In addition, many Korean celebrities have official accounts with LINE. You can follow people like Jang Geun Suk, Miss A, and FTIsland. Jang Guen Suk in particular always has entertaining posts. Soompi even has it’s own account so be sure to follow it for updates! I can only hope that these stickers are so popular that Min Joon will get his own set as well! What’s your favorite sticker? I really love the blowdryer and sleeping bag ones. Who am I kidding? I love them all! P.S. You can check out my latest Man from the Stars recap here! That’s a great one! Song Yi is such fun character and the stickers match her so well. She definitely loves her selfies! If I download them on Line can I use them on what’s app for example, too? Sadly, I’m pretty certain they can only be used on Line. I don’t really see how they could transfer over. I use Line with a few friends and have since been spamming them with Song Yi stickers. They don’t watch the show, so it’s mostly me trying to explain why she’s in a sleeping bag and what’s with the super high heart rate! I’m hoping to slowly convert them. This show is just so great! I think you’ll really like line! It’s a great messaging app. All of their stickers are wonderful! Lots of crazy emotions just waiting for you to express. Yep! LINE is definitely available of iphones. You can download it here! Thank for reading! i know theres do min joon ones also!!! but i cant find them!!! I found this picture of them and I really, really hope everyone will be able to download them on LINE soon! 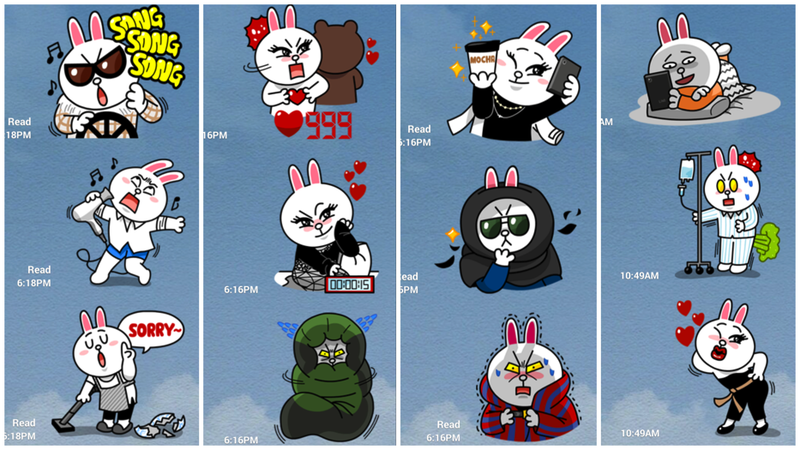 I may like the Min Joon stickers even more than Song Yi’s!